RSVP to Family Day and win! 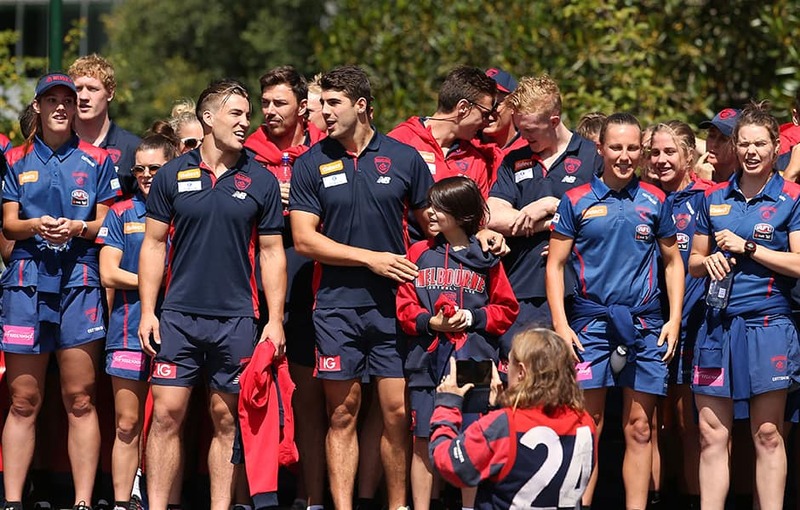 DON'T forget to RSVP to the 2019 Family Day for the chance to win a photo on stage with Melbourne's AFL and AFLW teams. The lucky prize winner will also receive a Merchandise pack including a 2019 guernsey, media polo, travel shorts and media cap. To enter the draw, simply RSVP below and attend our Family Day on Sunday, 10 March at Yarra Park. Parking is available at the MCG from 9.30am via Gate 5 off Punt Rd for $10. The car park will close at 4:00pm. There are a variety of ways to get to the MCG via public transport. Plan your journey here. 2019 Melbourne memberships and merchandise will be available to purchase on the day at the membership and Demon Shop marquees. Enjoy a range of food, coffee and beverages at the event. More information to come.